The Department of Social and Economic Research was set up in 1946 under the direction of Dr J Cunnison, with financial help from the Rockefeller Foundation, to study the social and economic problems of Clydeside. Supported by staff from the Department of Political Economy, its small group of dedicated interdisciplinary research staff was led by Alec Cairncross, who recognised that the Glasgow region provided a rich local laboratory for the empirical study of industrial, labour market and regional development and policy. The pressing public policy issues of urban and industrial redevelopment needed to be informed by research and Cairncross began to build a department that could deliver evidence- based analysis on economic and social changes and their implications. In this respect the Department was unique in the Britain of the 1950s and was on a sure footing when Donald Robertson succeeded Cairncross in 1961. By 1965 the Department comprised over 30 staff, whose primary commitment was research though most contributed to teaching in their respective disciplines (economics, sociology, town planning, economic history, law and geography). Three themes dominated: urban change (including housing policy), industrial development, and labour markets/industrial relations, flanked by growing involvement in regional planning. Although there was still a focus on Scottish issues, the perspective of the research programme was now international. The 'academic model' was unusual for the time, characterized by external finance from government departments, local authorities and Research Foundations such as Gulbenkian and Nuffield. The work was further enhanced by a high level of contact between staff and government departments and international agencies, with a regular flow of distinguished visitors from abroad. Although much of the research was applied in character, producing research-based reports for the funding agencies, the work was expected to, and did, produce academic publications of extremely high quality. Among the most significant developments of this period was the increasing focus on urban issues, including housing and labour markets, and regional development and planning, where for the first time major socio-economic research was undertaken as a basis for the Lothians Regional Survey and Plan; and this was followed by similar work for the Falkirk/Grangemouth area. The absence of physical planning expertise in Glasgow was made good by the appointment of Sir Robert Grieve, former Chief Planner in the Scottish development Department, as Professor of Town and Regional Planning. This in turn led to the introduction of Diplomas in Urban Studies and in Town and Regional Planning to help meet the demand for broadly trained planners. 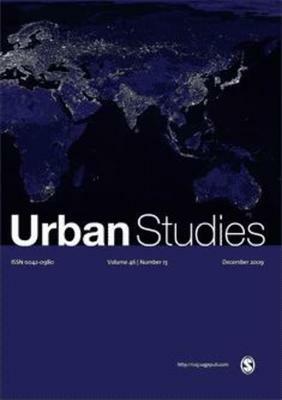 Another significant and related development of this period was the launching in 1964 of a new peer-reviewed academic journal, Urban Studies, which aimed to provide an international forum of social and economic contributions to the fields of urban and regional planning. Since then the Journal has expanded its range of disciplines and approaches to these fields and retains its high reputation. Alec Cairncross thus provided the initial vision for an academic department based on a mix of social science disciplines engaging directly with the economic and social problems on its doorstep - but recognizing that these problems were interlinked and shared by urban economies world wide. 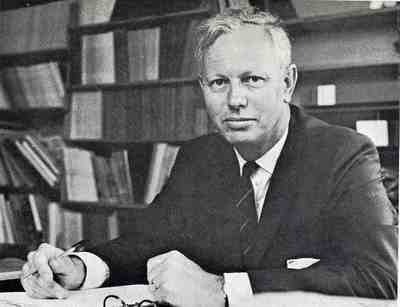 Donald Robertson carried this forward in the 1960s, being able to develop new sources of funding from public and private sources which first became available in this decade, contributing greatly to the more specialized study of urban and regional economies, their growth and development. This development continued from 1970-1996 under Professor (later Sir) Laurie Hunter, together with a major specialization in housing markets and policy led by Professor Duncan Maclennan. In 1996 the Department was re-named Urban Studies, with the labour specialists transferring to the Business School. Born 11 February 1911, Lesmahagow, Scotland. 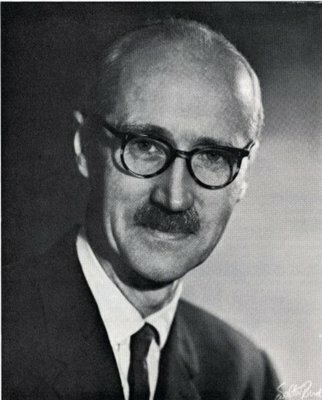 Sir Alexander Kirkland [Alec] Cairncross (1911-1998), economist and public servant, was a graduate, lecturer and professor at the University, and served as Chancellor from 1972 to 1996. The Alec Cairncross Chair of Applied Economics, Sir Alexander Cairncross Prize, Cairncross House and the Cairncross Room at Crichton Campus, which houses his personal library, are named for him. Born in Lesmahagow, Cairncross graduated with first class honours in Economics at the University in 1933 and then gained a doctorate at Trinity College, Cambridge. In 1935 he was appointed a lecturer in Economics at the University and he also lectured at the West of Scotland Agricultural College. Cairncross worked in a number of Government departments during and immediately after the Second World War. He returned to the University in 1951 as Professor of Applied Economics, where he started to develop a programme of multi-disciplinary research directed at a better understanding of the processes of urban and industrial change that characterized the postwar era, and so provided a platform for the later contribution of his departmental successor, Donald Robertson. During the 1950s he was often engaged as an adviser by the British Government and organisations such as the World Bank. In 1961 he left the University to become an economic adviser to the Treasury. Cairncross was appointed KCMG in 1967. 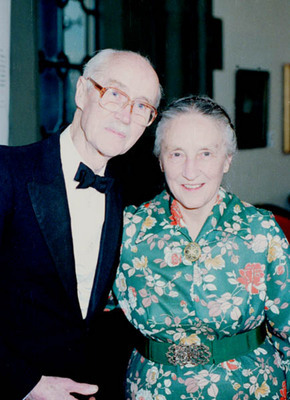 In 1967 Cairncross was appointed Master of St Peter's College, Oxford. He returned to the University five years later as Chancellor and he wrote later that "I doubt whether I ever had a prouder moment." Among Cairncross's most influential publications were the text book Introduction to Economics, which appeared in six editions after the Second World War, and Years of Recovery: British Economic Policy, 1945-1951 (1985). His autobiography Living With the Century was published in 1998. Born 17 May 1926, Glasgow, Scotland. 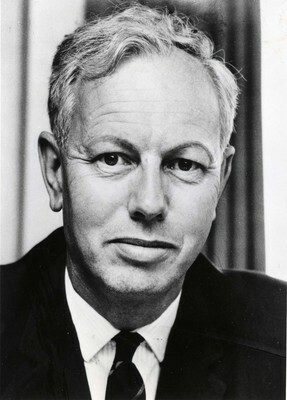 Donald James Robertson (1926-1970) was Professor of Applied Economics and Head of the Department of Social and Economic Research from 1961 until he was appointed to the Chair of Industrial Relations and made a Principal's Assessor in 1969. Born in Glasgow, Robertson's studies at the University were disrupted by the Second World War (he served as a First Lieutenant on minesweepers from 1945 to 1947) but he graduated MA in 1949. He became a lecturer at the University, first in Social and Economic Research and then in Political Economy from 1952 until his appointment to the Chair of Applied Economics and Head of the Department of Social and Economic Research (1961). Robertson proceeded to build on the multi-disciplinary research programme established by Alec Cairncross, taking advantage of more favourable funding opportunities to build research teams. He was prominent in pioneering applied research into major public policy issues of the day, especially urban development and change and the challenges of industrial re-structuring in the postwar world, and made major contributions to the development of urban and regional studies as an academic discipline. During the 1960s, Robertson's services as a leading arbitrator in industrial relations disputes were also in great demand. Among many public offices, he was appointed a member and Chairman of the Wages Councils from 1955 to 1969; Chairman of the Courts of Inquiry on Rootes (Scotland) Ltd (1968) and on Labour Relations at Heathrow Airport (1970); an Economic Consultant to the Secretary of State for Scotland; President of the Universities Industrial Relations Association from 1962 to 1965, and a Director of the Glasgow Chamber of Commerce from 1966 to 1969. Robertson, D. J. 1965. Department of social and economic research. Glasgow University Gazette. 47. The Department of Social and Economic Research was established at the University of Glasgow in 1946 with the assistance of Dr J Cunnison. Financial backing was provided by the Rockefeller Foundation. The mission of the new department was to research social and economic conditions in Glasgow. This was a peer-reviewed academic journal which aimed to provide an international forum of social and economic contributions to the fields of urban and regional planning. World Changing Project, "Developing and applying multi-disciplinary social and economic research," in University of Glasgow World Changing (University of Glasgow, 2010); http://www.worldchanging.glasgow.ac.uk/article/?id=13 (accessed April 25, 2019). World Changing Project. "Developing and applying multi-disciplinary social and economic research." In University of Glasgow World Changing. University of Glasgow, 2010. http://www.worldchanging.glasgow.ac.uk/article/?id=13 (accessed April 25, 2019). World Changing Project. "Developing and applying multi-disciplinary social and economic research." University of Glasgow World Changing. University of Glasgow, 2010. 25 April 2019 <http://www.worldchanging.glasgow.ac.uk/article/?id=13>.